2 x Comb Filter Comb filters are short delay lines with a feedback path. 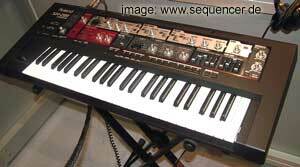 They can be used for flanging effects or spectral mangling of sound. The feedback can cause self oscillation. When played „in tune“ with some damping, comb filters provide a vast source of „alive“ sounds. This is often used as a building block for digital models of natural instruments such as strings and wind instruments.